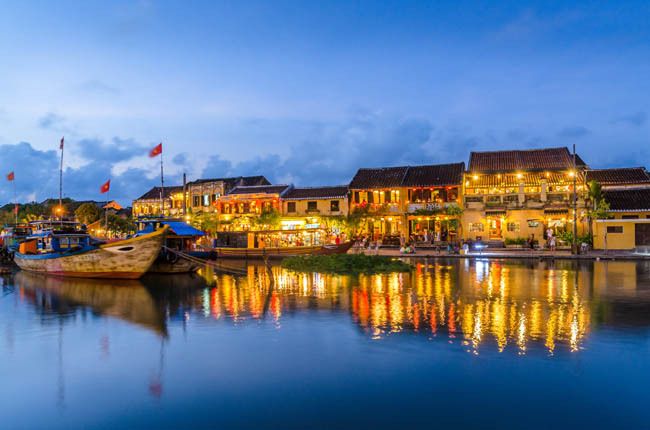 Located in the central coast of Vietnam, Hoi An gets its name famous as one of the must-see ancient towns in Southeast Asia you should visit once in a lifetime. There is likely no word that can be used to describe its beauty, from its striking coastline to its yellow-colored alleyways and beautiful beaches. The historic town may be the best place for domestic and foreign tourists to learn more about the culture, custom, and tradition that the locals have had and remained for centuries. So, making a tour package to Hoi An brings you a chance to bring home some authentically cultural gifts and specially memorable experiences. 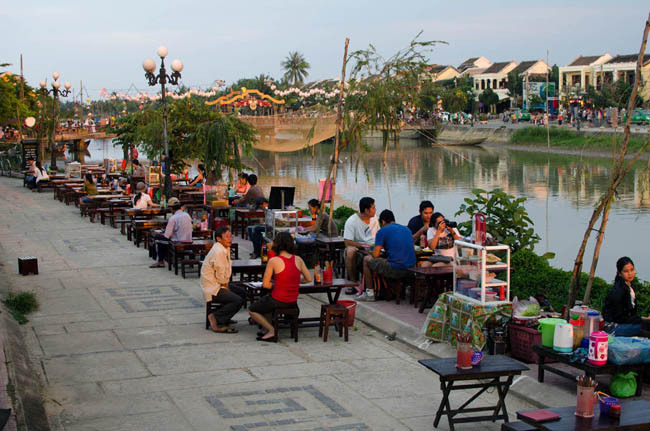 Today, Hoi An Travel Guide is as follow for the first-time travelers. Every day, there are many one-hour flights from Hanoi or Ho Chi Minh City to Da Nang city. After that, from the Da Nang International Airport, you can catch a taxi or use the hotel pick-up services to reach the heart of Hoi An within 45 minutes. 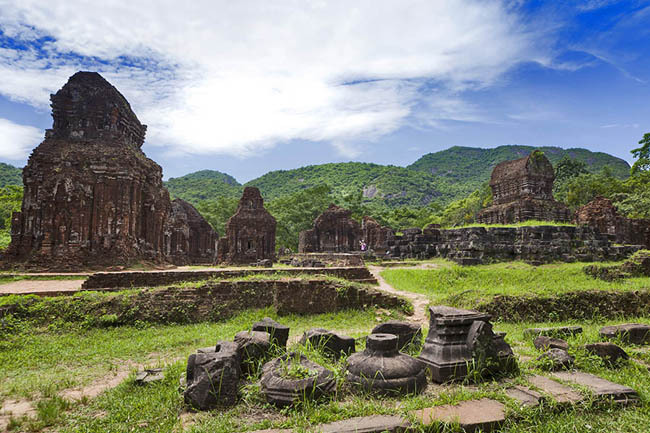 In case you have a vacation in Vietnam through a private tour, then make sure to contact your chosen local travel agency to know more information. Remember that the nearest train station is situated in Da Nang City. From the station, it is quite easy to find a taxi or Xe Ôm that can take you to Hoi An quickly. Many travelers select Xe Ôm since the cost for a taxi route is quite expensive. 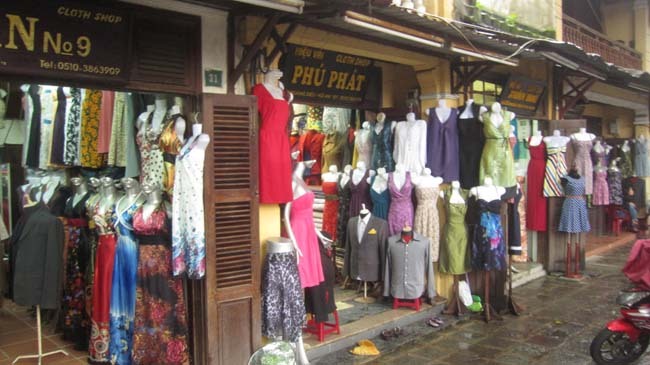 Taking buses from Hanoi, Hue, and Da Nang to Hoi An is also frequently chosen by many visitors. 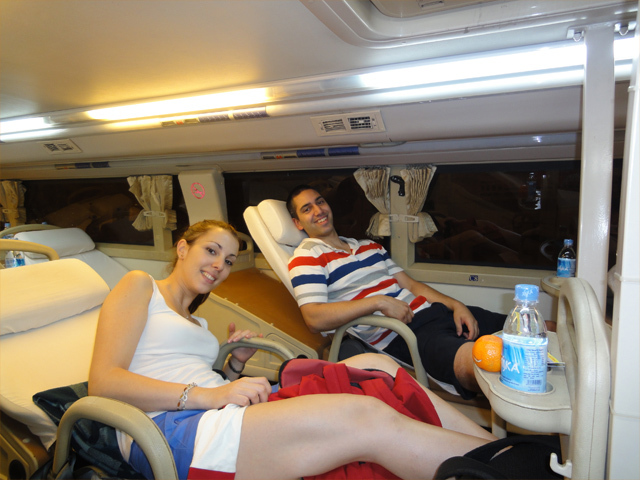 It is advisable to purchase tickets at the bus terminal or get it through any trustworthy tour agent. You can refer our Open Bus here. 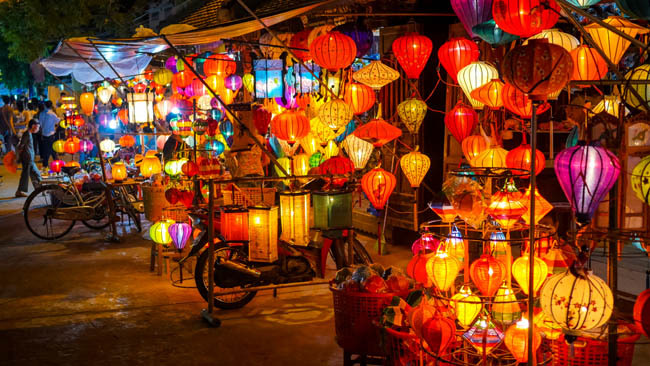 In general, moths between February and May are considered among the most ideal time to make a trip to Hoi An when temperatures are quite fresh and rainfall is low. During the dry season (from June to August), the general temperatures can get hot. Avoid setting foot on here during the rainy season (particularly October and November) since rains may be frequent and heavy, which can ruin your vacation. If possible, you are encouraged to arrange a trip to Hoi An during the Full Moon festivals (on the 14th day of the lunar year each month). At that time, the town seems to be gorgeous with many traditional songs, games, food, as well as colorful lanterns lightening every corner of the streets. See our tour to Hoi An here! 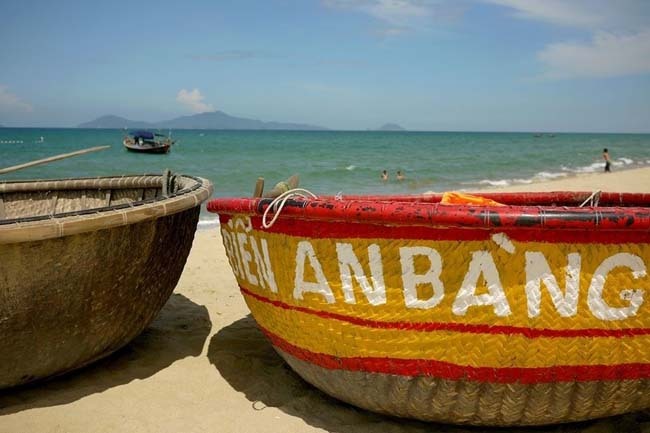 Beaches in Hoi An win visitors’ heart by their warm and crystal water, clean sand, picturesque scenery and a few restaurants serving delicious food and cold beer. If you would like to hop on a bike and do not mind cycling several kilometers, then head toward An Bang Beach (about 3 kilometers north of the town) or Cua Dai Beach (about 5 kilometers east of the town). Walking along An Bang Beach – one of the 100 best beaches in the world – to immerse yourself in its gentle waves and soft sand is certainly worth time and experience. For those who love thrilling activities, don’t forget to rent a surfboard and play with big waves. Built from 4th century to 14th century, My Son became the cultural, religious, and educational center of the Cham Empire, in comparison with Angkor Wat (Cambodia). A collection of about 70 Hindu temples here were dedicated to Cham Kings, especially Shiva, who was famous as the founder and protector of the Champa’s dynasties. According to many archaeologists, during one period in their history, a layer of gold was used to cover the summits of a few towers. My Son Holy Land was listed as a UNESCO World Heritage site in 2000. Although most parts of the sanctuary were damaged during the war, a few stunning structures have been remained, bringing visitors a hands-on experiencing trip. One of the town’s old trading fields that has been currently still developing is a long tradition of tailoring. The locals have remained their touch on crafting clothes, shoes, and handbags for centuries. So, having a shirt, suit, or dress custom made for you only may be another fun activity you should not overlook. It will surely fit and look precisely like what you want. There are a number of tailors downtown. If not, you can hunt for some other items on sale here, such as brocade, lacquerware, and other traditional trinkets. 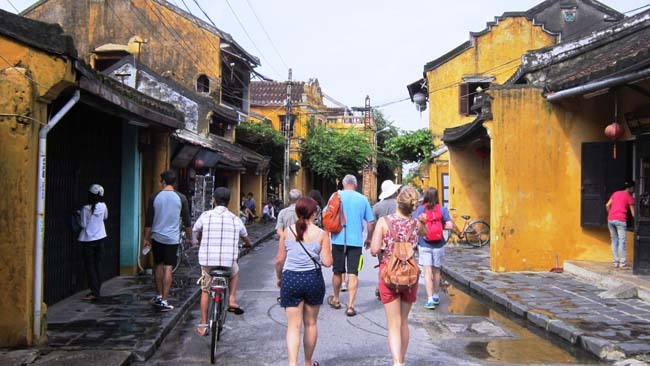 Hoi An Old Town has been included in a list of UNESCO World Heritage Sites because it is a greatly preserved ancient town of the 15th to 19th century. It wins an award for narrow and small streets to the chessboard. A lot of beautiful attractions have been gathered here, such as the Phung Hung Old House, the Japanese Bridge, the Phuc Kien Assembly Hall, and so on. Both locals and tourists like wandering along the narrow and peaceful roads. Thus, there is no vehicle noise here. During the stroll, you can drop by a coffee shop, a clothing store, or a lantern workshop to take a break. A short walking trip does help you to feel truly refreshed and relaxed. Vietnamese street food can be easily found in Hoi An, which is very mouth-watering, yummy, and affordable. It seems a big pity to skip the town’s local specialties, i.e. Cao Lau (Cao Lầu), white rose dumpling, crispy pancakes (bánh xèo), Quang noodle (Mì Quảng), and so on. Authentic Cao Lau noodles are often dipped into the water gathered from the local ancient wells. Besides, white rose dumplings are just shrimp and pork wrapped in a rice-paper so that they look like flower. Bánh xèo is a delicious and crispy pancake that is usually eaten with lots of herbs and veggies. A journey to the town is incomplete without trying a hot bowl of Mì Quảng – the yellow or white noodle which is mixed with pork, shrimp, and vegetables, along with being topped with grilled rice paper and spices.